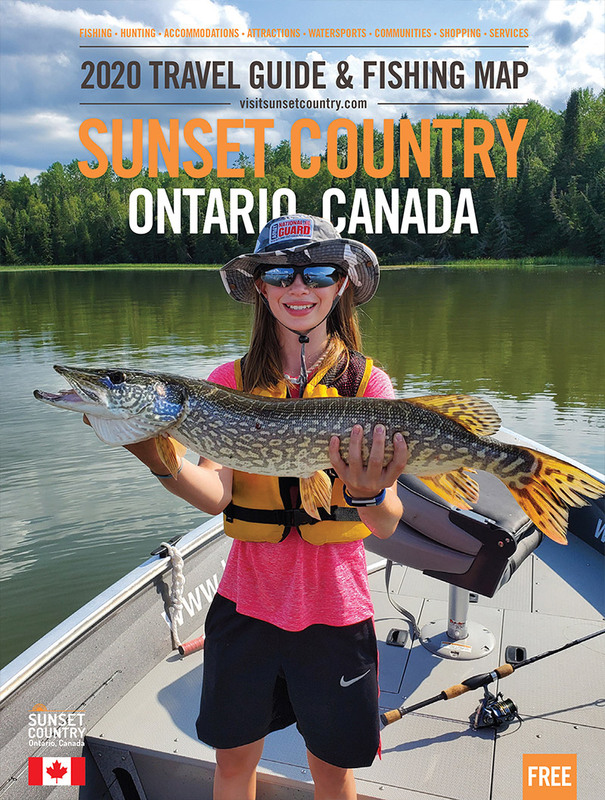 In Sunset Country, we believe everyone should be able to enjoy a fishing trip of a lifetime. Your mobility limitations shouldn’t hold you back from the amazing experiences our region offers and at these lodges, they won’t. At the lodges listed below, you can expect legitimate service and accommodations. Their accessible cabins were built or renovated with you in mind and they’d love nothing more than to help make your fishing dreams come true. Below each lodge, they’ve been listed as either fully or moderately accessible. Moderately accessible will apply if you require some mobility to use their facilities, such as entering boats. But don’t fret, if you have very limited mobility, there is still a lodge for you on this list. After having a look, you can feel free to call us at Sunset Country at 1-800-665-7567 with more questions. If you have specific questions regarding a lodge below, we recommend you contact them directly to discuss detailed inquiries. This underrated chain of lakes often gets overlooked by larger sister lakes such as Lac Seul and Eagle Lake. But the truth is, it may just be a well-kept secret. The Indian Lake Chain has nine lakes to it’s waterway. That’s nine different bodies of water for you to explore, each one hosting an impressive multi-species list of fish. Navigating the Indian Lake Chain comes with it’s own benefit of being easy and stress-free. Less time worrying about hazards (within reason) and more time fishing. If nine lakes aren’t enough for you, you’re still close enough to travel to Eagle Lake or Lac Seul from the lodges on the Indian Lake Chain. This American Plan (with a minimum of 4 people) lodge has manageable grounds with gradual slopes to the water and ramps to the main lodge. One accessible cabin, Cabin #9, has wider doors, a shower with no step from the floor and has handles. Please note the shower does not have a seat but it wide enough to place a shower chair. If they are required, they will offer you golf carts for getting around to make your transportation around the lodge simple and seamless. Indian Lake Lodge is only considered moderately accessible because there are no ramps into boats. Their docks are sturdy but some mobility is required to get into your boat rental. Eagle Lake is a bucket list lake for many walleye, muskie and bass anglers. 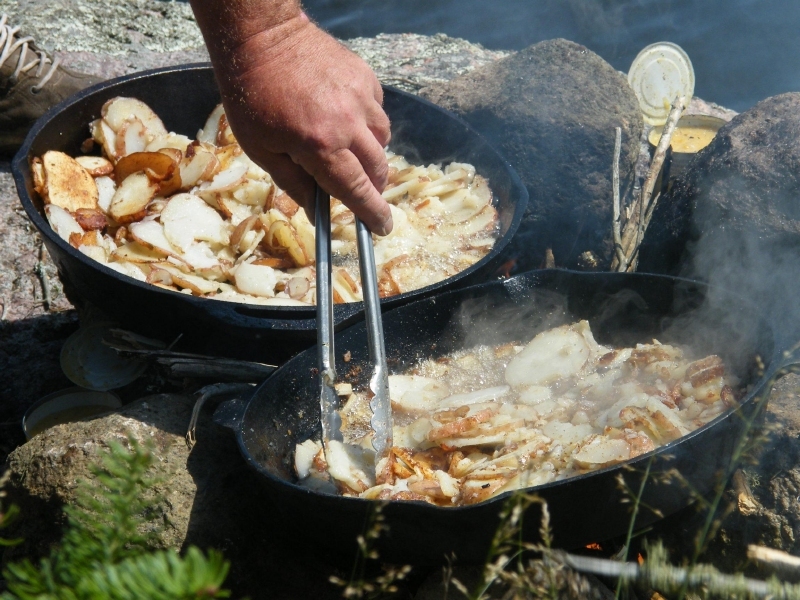 But it also boasts an amazing fishery for northern pike, lake trout and fiesty perch. Stanley's Resort has one fully accessible (The Hawk Cliff) and two wheelchair accessible cabins (The Osprey & The Grey Owl) available for guests with mobility restrictions. Complete with a fully accessible washroom, wider doors and ramps, the Hawk Cliff is the perfect cabin for those looking for seamless mobility. Located just west of Vermilion Bay, Stanley’s is three hours from the International Falls Border. There are ramps and access to all areas of the grounds such as the docks, boat house, and fish fry area. The only place there are not ramps are to the laundry room. They have outfitted their pontoons to accommodate you, even if you rely on a larger electric wheelchair. Off the water, they have paved paths and ramps right down to their stationary dock. Stanley's Resort even encourages you to contact past guests for references of their facilities. Temple Bay Lodge is located in Eagle River, Ontario, a short jaunt east from Vermillion Bay. The grounds have easy trails and the main lodge is accessible with a table space specifically for those in wheelchairs. Temple Bay Lodge is wheelchair accessible year-round with their new Eagle's Nest Cabin for comfortable living and side-by-sides to get you on and off the ice. They are constantly thinking of better ways to accommodate you. Access to the waterfront is made simple with ramps, but they’ll easily shuttle you via gold cart to and from your cabin or main lodge to the docks where they’ve also made it possible for you to get aboard pontoon boats with ease. Enjoy your time on the water without having to think twice. Birch Dale Lodge has one newer cabin that's fully accessible with a ramp, 36" wide doors and a large shower with a seat inside. They also have two other cabins with ramps and wider doors, but some mobility will be required to use the washrooms. There are plans to acquire a pontoon boat for the lodge, so you may want to give them a shout to confirm, but as of now, limited mobility is required to get in and out of boats. They will help you to and from the docks with a golf cart, and there is a ramp into the restaurant as well, so you'll never feel left out of the social scene at the lodge. Finding a lodge that will accommate you can be overwhelming, and perhaps a bit disheartening as well if you have to call several lodges before finding one that's capable of giving you the fishing trip of a lifetime. We hope with these master lists of wheelchair accessible lodges in Sunset Country, your search can be narrowed and your booking experience made better. If you have any questions about accessibility in the region, when to visit, additional lodges in Sunset Country, or just the fishing, we're happy to help at the Sunset Country office. You can email us at info@visitsunsetcountry.com or give us a call during weekday business hours 1-800-665-7567. Don't forget you can order your FREE Travel Guide and Map from us as well, online or over the phone. Please don't hesitate to reach out. We are here to help.